Rely on UT Health San Antonio for expert care for children by board-certified dermatologists. UT Health San Antonio's dermatologists provide children and teens the same expertise, attention and care they offer adults. We are experts at evaluating and treating all skin, hair and nail conditions from eczema to birthmarks and abnormal moles or tumors. We create a customized treatment plan together with the parents of our pediatric patients. 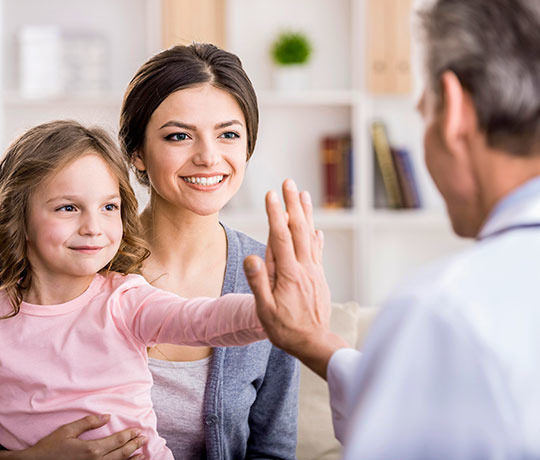 After taking a thorough history and performing an exam, our dermatologists will determine a care plan that is effective and manageable for both the child and the parent. We offer a comprehensive approach to treating children which could include topical (skin application) treatments, oral medicine, laser therapy, surgery and other treatments as needed. Our patients benefit from the latest, approved technology and the newest, most reliable research in treating dermatological conditions.